Finding the right digital marketing agency to make your business prosper and boom can be a tricky task indeed. What to look for? Where to go? How to get started? What to do? These and many other questions will cloud your mind the moment you begin to approach the task of finding yourself a digital partner. Here are our top 3 tips to make your job a whole lot easy! Clarity is a key word when it comes to determining one’s digital marketing objectives – and attaining it is a critical task that has to be completed prior to choosing one’s digital marketing agency. For it is far easier to create and act upon a digital marketing plan that has been conceived out of a clear understanding of one’s business objectives and limitations than it is to do things free-hand. Every digital marketing agency worth its salt will demand from you a marketing budget that gives them enough leeway to perform at their very best. However, just in case you don’t have the budget of your dreams, you can still get a lot done simply by picking an agency that can tailor for you the perfect creative marketing fix at a price that truly works for you! There is more to business than just choosing a good digital marketing agency. For you must only pick the agency that actually carries within it the ability to deliver the exact kind of results that you’re looking at. Which is why it is so critical to choose the right performance metrics for your agency to deliver on, so that you know quite clearly as to just how far your digital marketing efforts are taking you! 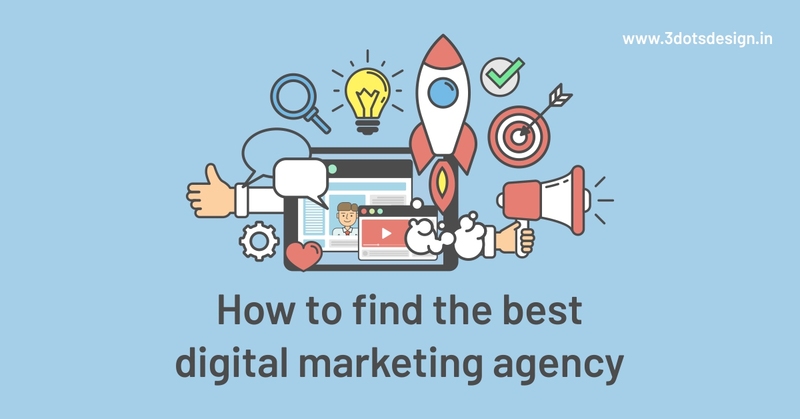 We sincerely hope that this article has helped you in some way or the other in picking the perfect digital marketing agency for meeting your business’ needs! And if you still haven’t found your dream digital agency, you are welcome to join us at 3 Dots Design for a cuppa and we can all sit down and talk digital marketing – the way you prefer it done! Thank you for reading!